Each year, businesses spend a significant amount on their employees travel. However, without proper controls in place, unauthorized and overspending can occur. It is very important for business owners and managers to manage the expense of the company effectively, and address the key challenges faced by an organization in optimizing the accounting workflow across their procurement and travel management divisions. In fact, many organizations have put in place multiple checkpoints and have taken action to reduce unnecessary spending and to control costs better. When it comes to optimizing the accounting workflow, the organizations are moving away from paperwork, in order to support digital and paperless accounting processes. Electronic payments, electronic funds transfers and automatic deposits are now common and convenient for businesses, as well as consumers. Emerging technologies such as Virtual Credit Cards can significantly ease the reconciliation burden, as it allows full integration with the organization’s accounting system, which can ultimately lower processing costs and allow the company to implement stronger internal control. In addition to offering convenience, business can also bring down processing costs and improve internal controls by automating the account reconciliation process and minimizing the human error. The businesses that are adopting digitalization to manage finances, are able to improve their profit margins by reducing the operating costs. By using Virtual Credit Card, companies can monitor and better manage their employees’ travel expenditures. In addition, to protect your financial data, there’s no such thing as too safe. That’s where a virtual credit card might come into picture. Even if a criminal accessed your virtual credit card number online, that number couldn’t be used again. This way, one need not worry about someone intercepting their card details and adding up to fraudulent charges. Hence, due to the above stated facts, business should therefore promote usage of Virtual Card and develop a strong execution strategy in their concerned department to stay ahead of the competition. 2. What is Virtual Credit Card? A Virtual Credit Card is a one-time usable card, which comes with a preloaded amount that is valid only for a specified time period. Virtual credit cards are called so as they have no real existence as no physical card is issued to the user. It provides an easy way of transacting at websites, online merchants, internet shops, web stores or telephone shopping, where the payment by credit card is accepted. It is very secure as it allows card members to generate a substitute credit card number, which can be used in place of their real credit card number. The amount of credit assigned to a virtual card is debited directly from the primary account to which the virtual card is linked. Virtual cards are valid for only a limited time and may be topped up with a certain amount and can be used for a single transaction only. Any unused balance on the card is automatically credited back to your original credit card account after the end of the validity period of the Virtual Card. After you log into your account, you can choose an option to generate Virtual Card Number. The software generates a Virtual Card Number, expiration date and CVC. A new BIN (Bank Identification Number) number will be used, which will be different from original BIN number of primary cardholder. Scheme recognizes it as Virtual Card Number and routes the transaction to corresponding bank for authorization. The bank’s authorization system maps Virtual Card to the original card, and performs validation using original card number. Authorization response is again sent back using Virtual Card Number. The virtual card purchases get automatically entered into the expense management system without additional paperwork. This lets you automatically record, track and reconcile every transaction – freeing up staff time and minimizing the need to write off unaccounted purchases. This in turn simplifies the Account Payables process through automated reconciliation process as Purchase Order, financial transaction and invoice will have a unique card number associated with it. Virtual Credit Card has a wonderful feature of creating the card before actual purchase and use it at desired merchant site. Virtual Credit Card has the ability to customize parameters like spending limits, expiry dates and location (merchant store, supplier, etc.) where card can be used. When a Virtual Card is used to make a purchase, the system identifies the number and checks if the transaction matches the original request. The transaction is declined if it doesn’t match. Most virtual credit cards offer cash-back points that will accrue in the proportion of purchase made by the customer. There is no risk of cards getting stolen as there is no physical plastic card. Also as there is no actual card number, there is no risk of card number getting exposed during online transaction. The payment is made with unique information every time one uses virtual credit cards, hence it is not useful for criminals. The virtual credit cards are ideal for companies due to impermanency of such cards. They can provide desired expense to freelancers or contract employees through virtual credit card, and thus, not provide them with company credit card. It also helps corporates due to real-time pre-authorization and transaction control features, thus helping companies in improving control and tracking of payments. The improved upfront controls also reduce the need to audit retrospectively. The ability to customize various parameters (e.g. Merchant Category Code, Spending Limit, Expiry Date, etc.) on the use of virtual cards makes them ideal for use by employees, who have difficulty managing traditional plastic corporate credit card. The improved upfront controls also reduce the need to audit retrospectively. Most virtual cards can be used for making purchases internationally, as well as on domestic websites. The virtual card is an online card, therefore, it cannot be physically used on a swiping machine. The process of refunding while returning items can be more complicated, especially if one has to confirm your credit card number later. There can be issues if one needs to show the card in person, while booking a hotel or rental car using virtual credit card. 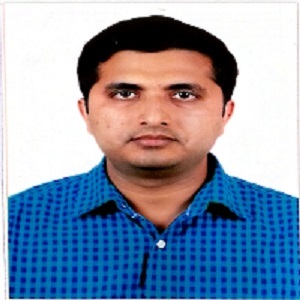 Murari Jha is a Senior Consultant in LTI’s Consulting Group. He has over 12 years of experience, specializing in Cards and Payments domain.